You are currently browsing the Design Dynamics blog archives for February, 2011. One of the main challenges facing any business involves standing out from the competition. Particularly when you are clustered in an area with a lot of competitors making similar offers. 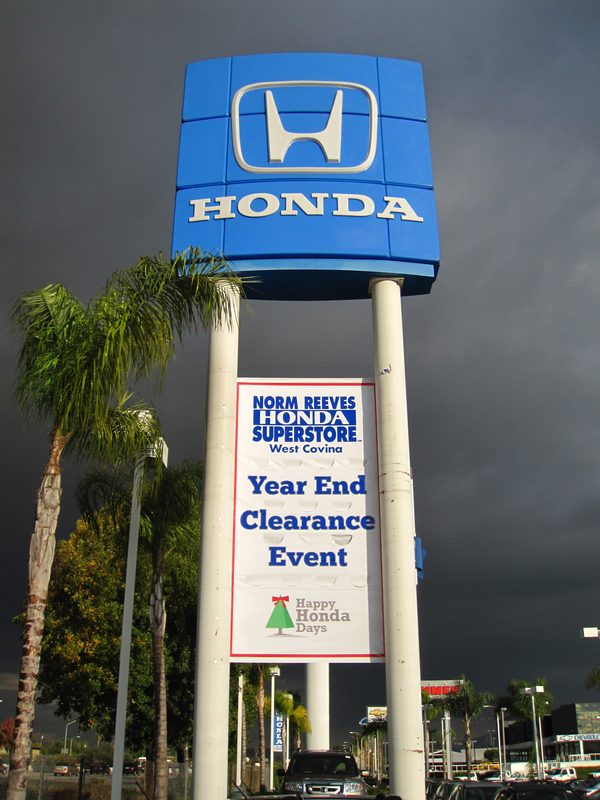 This is why this customer likes to use large banners that are hung properly as a cost effective tool for creating awareness that draws attention to their business. Our wide-format printer allows us to produce brilliantly colored seamless 8′ foot banners up to a 150′ in length. The value of being seamless shows itself not only in an improved appearance, it helps with durability. 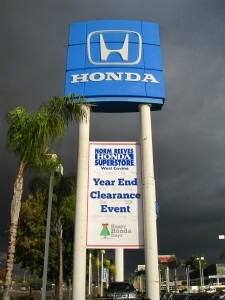 This auto dealership is located in a high wind area where they used to have trouble with seamed banners separating under high wind strain. Through Design Dynamics they are not only able to go seamless on their extra large banner promotion we are able to install it without sagging. Nothing ruins a well designed banner than a poor installation that sags. 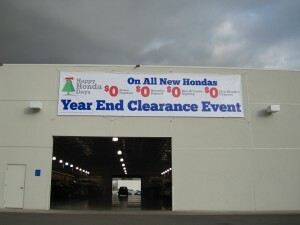 Call us at 800-94DESIGN to learn how we can help you deploy cost effective banner promotions that get noticed.